The Fuqua on Board (FOB) program matches Duke MBA students with Durham area nonprofits to serve as non-voting board members. Over the course of a year-long apprenticeship, pairs of students work closely with a board mentor, participate regularly in board meetings and attend relevant committee meetings. Students serve as “board associates,” gaining valuable insight into the governance and inner workings of nonprofit organizations while providing the nonprofits with fresh perspectives and critical business skills. FOB provides training, coaching, and peer support throughout their board engagement. Fuqua on Board is selective for both students and nonprofits. Current students: Learn more about the application process and program here. 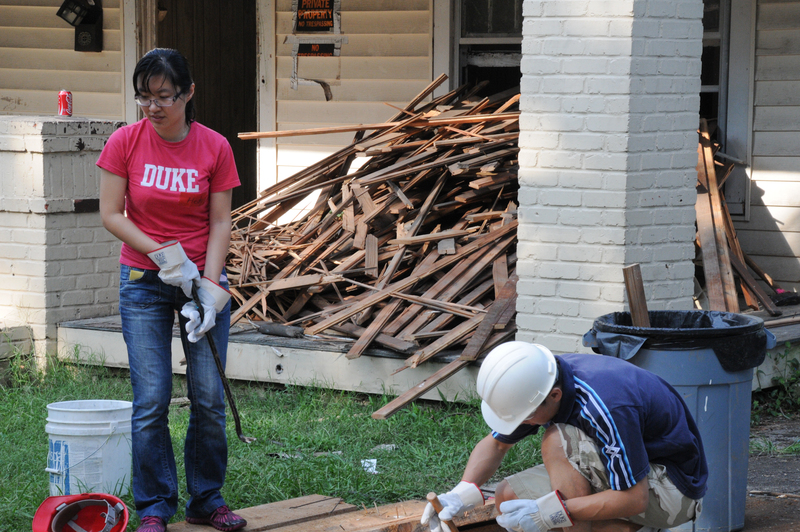 Interested nonprofits: Learn more by emailing Fuqua On Board at fob@fuqua.duke.edu. The Net Impact Club is the main student arm of CASE and the largest club at Fuqua. CASE and the Net Impact Club work closely together to support Fuqua students interested in effecting positive social change through speakers, career panels, social events and much more. Major annual events include Day in Durham, the Sustainable Business and Social Impact (SBSI) conference, Week in Cities career trek, and much more. Learn more. Attend CASE events to hear from and meet with social entrepreneurs and social sector leaders. Past speakers have included Chuck Slaughter (Living Goods), Jacqueline Novogratz (Acumen Fund), John Replogle (Seventh Generation) & many more. Learn more on our events page. Each year, CASE selects an elite group of second year MBAs to act as ambassadors and work with the CASE team throughout the year. The Fellows select a theme and have small group discussions, host speakers, write blog posts, and organize public events throughout the year on the theme that they have chosen. CASE i3 Fellows are select second year MBA students who complete coursework in impact investing, support CASE i3′s research and operations, and complete a CASE i3 consulting project. They have diverse backgrounds, ranging from former investment banker associates to nonprofit program managers, foundation staff, and management consultants. CASE i3 Fellows work with a broader set of CASE i3 Associates, often first year students, in teams as part of the CASE i3 Consulting Program. Learn more here. In addition to Duke resources such as the Program for Entrepreneurs and Start-Up Challenge, CASE awards the annual CASE Launch Pad prize – $10,000 plus coaching – to help Duke MBA social entrepreneurs vault their ideas forward. Specifically, the CASE Launch Pad comes with a $10,000 grant, plus one-on-one coaching from CASE Senior Fellow and author Dan Heath (Made to Stick, Switch, Decisive). The CASE Launch Pad is only available to current Fuqua students and even students with only an “idea on a napkin” can apply. Fuqua's Net Impact Club was awarded Chapter of the Year from amongst 300+ chapters and has received Gold Chapter status every year since 2007. Go Fuqua!